This week, New York City lost a cultural landmark. The site known as 5Pointz was a graffiti museum, of sorts — the walls of a 200,000-square-foot warehouse complex covered with ever-evolving spray-painted art. It spread across a block in Long Island City right across the water from Manhattan in the borough of Queens. But it was all gone Tuesday. The owner of the building started painting over the art in preparation for demolition. The city had approved construction of two residential towers, despite efforts to designate the complex a culturally-significant structure. Overnight and into the morning, workers covered the art with white paint. 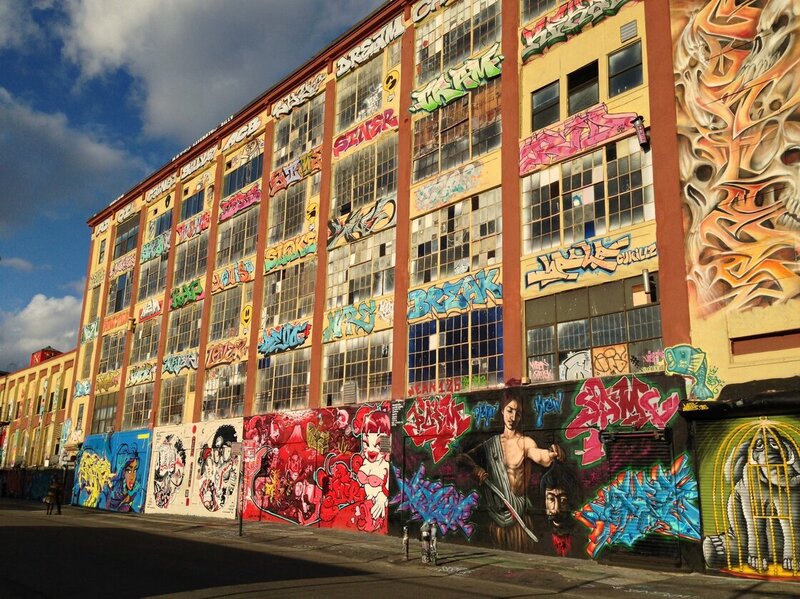 Millions of people used to get their first glimpse of 5Pointz from the 7 subway line. When the line emerges in Queens after tunneling under the East River, rows of bright, angular tags would come into view. The walls of the five-story building showcased enormous paintings: a turbaned head wrapped in sky-colored cloth, an orange tiger and, near that, an even-larger-than-real-life portrait of rapper Biggie Smalls. “They call us vandals and hoodlums and whatever you may want to call it,” says 5Pointz artist Jonathan Cohen. “I think it’s quite the opposite.” Cohen started painting here in the early 1990s, and he has been a de facto curator of the art on the buildings since 2002. He thinks it’s the whitewashers who are the vandals. Painters came from around the city, and around the world, to contribute. James Cochran was one of them. He’s a New Zealander living in London. A friend introduced him to Cohen a few years ago, and Cohen invited him to work on a wall at 5Pointz. Cochran painted a portrait of a man in a hoodie. It was aerosol pointalism — meticulously composed of hundreds of different-colored spray dots. And just around the corner, Ali Moussaddykine, who’s from Morocco and in town for an internship, contemplated a 20-foot-tall photorealistic painting of a hand with its index finger pointing toward the sky: “You can stare and think about a lot of things, about yourself, about the city, about people who made this. It means a lot of things,” he says. The building’s owner says that covering the art quickly with white paint was a way of saving the artists the emotional distress of seeing their work torn down slowly over the next few months. He says it’s like a band-aid — rip it right off. The building’s owner has said he’ll offer wall space for graffiti artists at the new buildings. 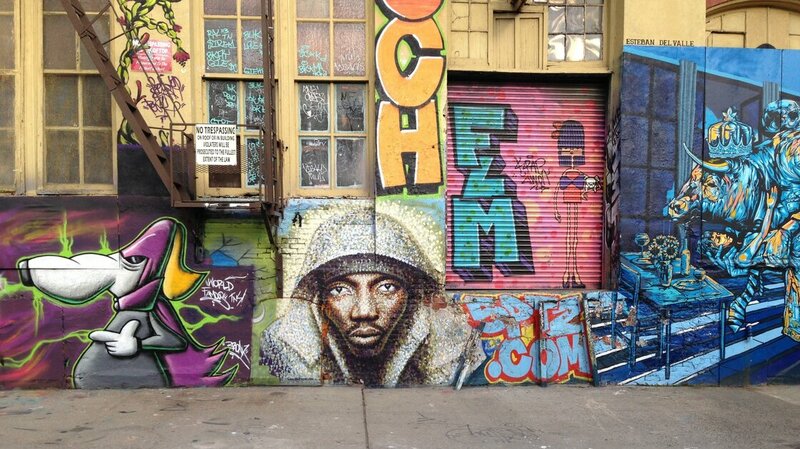 At the moment, the 5Pointz crew doesn’t seem that interested in taking him up on the offer. 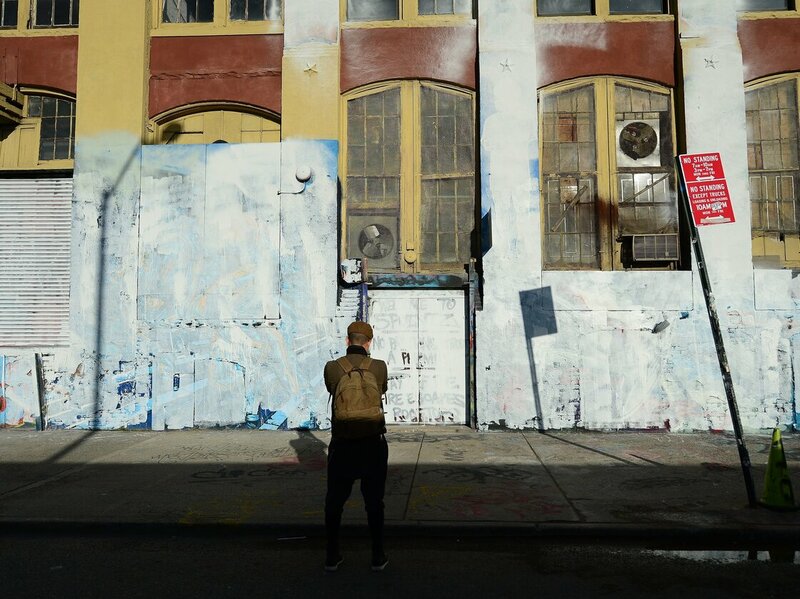 James Rocco has worked at 5Pointz a lot over the years. Standing under the subway tracks looking at the whitewashed walls, he says the lost art is really only part of it.